Three individual stations set up during this time carved out very special niches for themselves. 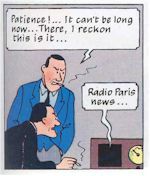 Each began as a brave attempt to give a radio voice to un-served audiences. Each station was conceived, born and bred within the confines of a state broadcasting system. January 19 1975 heralded the arrival of 2JJ Sydney 'Rock without the Roll' 1540 AM, followed on May 12 1975 by 3ZZ Melbourne 'The Voice of the Community' on 1220 AM, and, finally, in mid 1981 by 2YB 'Access Radio' Wellington on 783 AM. Today, 2JJJ-FM has migrated nationwide on FM, Access Radio 783 remains at the same spot on the AM dial, and 3ZZ survived a mere twenty-six bruising months before being closed down to make way for the current SBS nationwide network on AM and FM. "One of our aims," said Ron Moss, "is musically to service the areas that have been ignored by commercial radio, which has shown a lack of interest in playing anything other than 100 per cent successful material and a lack of support for Australian artists. And the other is to reflect the taste and values of our target audience, and not a middle-aged man's idea of their taste and values." "Double J's music will range from "poppy" during the day to "heavy raves" after midnight. The format will include news, information, comment and talk-back, but at all times the emphasis will be on music. Not the rock 'n roll of the fifties, but the rock music of the mid-sixties and onwards. And rock without the roll, said Chris Winter, includes folksy things, bluesy things, jazzy things, Indian things and even classical things. Unfortunately, 2JJ gained an unwanted lowly powered transmitter, a poor aerial location and a bad frequency. "It's fantastic, but it's a pity you can't hear it" said rock enthusiasts. "So far Double J is coming through loud and clear in the Western Suburbs and the South, patchy at Palm Beach, bad at Elizabeth Bay, blurry in Darlinghurst and good or bad in Paddington depending on which end of the street you live at." By July, the staff of 2JJ were fed up, and shut the station down in protest. DJ Mac Cocker reopened broadcasts with the song "Won't Get Fooled Again" by The Who and held an on-air press conference filmed by several TV crews, including the ABC. Eventually, 2JJ increased power from 2kW to 10kW and coverage of Sydney improved. From this shaky start, 2JJ later moved onto FM as 2JJJ, and expanded even further afield as the ABC's youth network across Australia and streaming on-line. "This is the story of an experiment that failed because it succeeded too well. 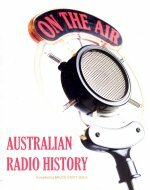 Melbourne's Access Radio Station 3ZZ was an exciting and noble experiment to bring freedom of speech to some of the Australians who were deprived of this first of the essential freedoms. It became the voice of minorities and the disadvantaged. Open to all shades of opinion: to earnest crusaders, to musicians and poets, to Aborigines, to women, to school children, to a veritable Babel of immigrant groups in all their complexity and variety, to the left, to the right, to the centre, to ratbags and rationalists – all could claim time and, with the help of the professional and dedicated staff, went to air." "All sorts of people, often of opposing ideologies, helped each other, transferred skills and shared cultures. The 3ZZ building was full of warmth and loving care that materialized almost as physical force, enveloping any stranger who entered its portals. I was interested to find out how accurate was my hypothesis that, given adequate resources, and using participation strategies, ordinary citizens could produce change in society. I now believe this hypothesis was proven, and that it was the threat of such change that caused the closure of 3ZZ. 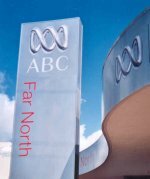 It was closed against the wishes of the community, the State Government, the ABC and the users of the station." 3ZZ broadcast on 1220 AM from another low power transmitter (2kW) like 2JJ, and again, poor coverage in parts of Melbourne was an issue that plagued the station. "On May 12 1975, I opened our first transmission with a message that ended with these words……we want to hear from you…... I hope you will want to hear from us. I want you all to know that that still holds. We want to hear from you. I hope you'll continue to hear from us." Several ABC staff resigned and moved to an office in Fitzroy, where they kept the dream alive with a mobile studio broadcasting old 3ZZ tapes, churning out newsletters and applying for a new licence. The Fraser government pulled the plug on 3ZZ because of politics and the wish to see ethnic voices brought within the influence of the new Special Broadcasting Service [SBS]. 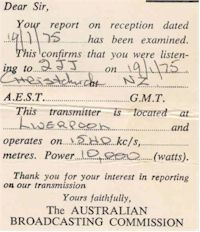 It wasn't long before 3EA began broadcasting from Melbourne on the old 3ZZ AM frequency. 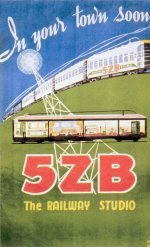 Today, ethnic communities in Melbourne are served by two separate SBS radio program streams in many languages, fulltime Greek, Italian, Chinese and Arabic language stations, and ethnic programs from community stations such as 3CR which came on air just as 3ZZ began to fade from the airwaves. The legacy of 3ZZ continues to this day. Making Waves - souvenir booklet cover. In July 2006, I attended a reception at Parliament to celebrate 25 years of access radio in New Zealand's capital of Wellington. As one of the early program makers at what was once known as 2YB, I remembered the old basement studio in the now demolished Broadcasting House. Reel to reel tape machines, crusty old microphones and bits of equipment scrounged, begged and 'borrowed' from the old NZBC that bravely allowed two intrepid women to copy the 3ZZ experiment. 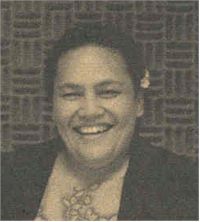 "I remember with aroha the two founders, Cindy Beavis and Pamela Fleming, who started Access Radio in New Zealand. They began with 3 hours on Saturday mornings, after three years they had built up the programs to 30 hours a week. 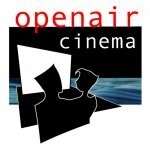 Now Access can be heard 24 hours every day. I was there in the early days. They were years of development and buzz as more and more ethnic and special interest groups joined the Access Radio family. In those years, their culture and identity were 'invisible' to the rest of society." 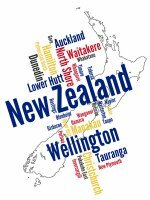 Wellington heard programs in Hindi, Cook Islands Maori, Greek, Italian, French, Mandarin, Samoan, Fijian, Croatian and other languages that had never before been heard from a New Zealand radio station. The Pacific island language programs were an immediate hit with the growing island communities in the region and the multiethnic nature of the community was reflected for the first time in the local media. 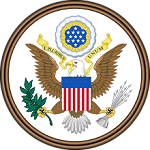 Special interest groups were also able to make their own programs for the first time. Country music, Irish music, band music. Programs by and about gay and lesbian communities, handicapped, workers, environmental groups, Palestinian and Jewish communities, Islamic, Roman Catholic and spiritualist beliefs and more were slowly allowed to flourish to counterpoint mainstream media views. Ivo Corac "From Croatia with Love"
Like 2JJ and 3ZZ, the original 2YB was offered a standby transmitter, used to broadcast the National Program when its main transmitter carried Parliamentary broadcasts. Unlike its Australian counterparts, Wellington had a powerful 10kW transmitter from the start, and its service area extended for hundreds of kilometers to the north and south of the capital city. It still does. 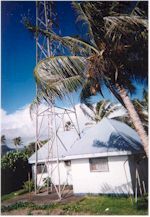 Today, Wellington Access Radio has a suite of modern studios, owns its own modern AM transmitter, and is poised to introduce several program streams via the internet as well as move onto FM. 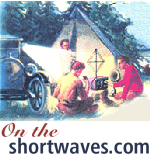 Other local access radio stations now operate within the AM coverage area. This ability to provide more than one program stream and podcasting effectively creates a community access network of choice to meet the future needs of the capital's ethnic and special interest communities. "How many voices are there waiting to be heard", the final line in the 25th anniversary souvenir booklet sums up the promise of the future. Not just for Wellington, but also for Sydney, Melbourne, and many other local communities throughout Australia and New Zealand and around the Pacific region.